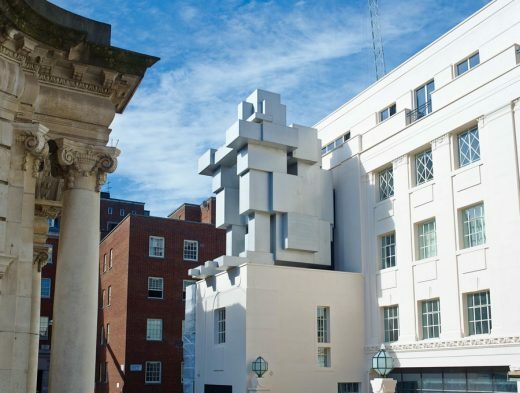 Room, by internationally celebrated artist Antony Gormley, a giant crouching figure on the façade of London’s new Beaumont Hotel, the interior of which is a hotel suite, was unveiled at a press preview today in the presence of the artist. 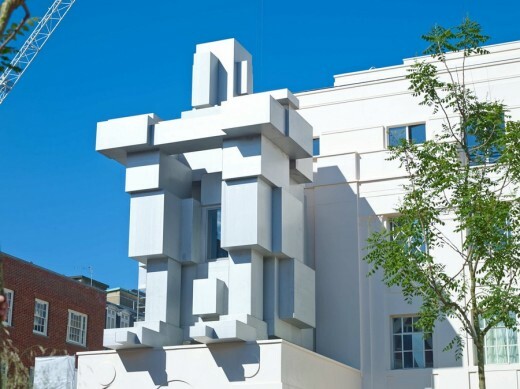 Antony Gormley, born in London in 1950, is widely acclaimed for his sculptures, installations and public artworks that investigate the relationship of the human body to space. His work has developed the potential opened up by sculpture in the 1970s through a critical engagement with both his own body and those of others in a way that confronts fundamental questions of where human being stands in relation to nature and the cosmos. He continually tries to identify the space of art as a place of becoming in which new behaviours, thoughts and feelings can arise. Gormley’s work has been widely exhibited throughout the UK and internationally. His many successful projects include the Angel of the North (1995-1998) and One & Other (2009) for the Fourth Plinth in London’s Trafalgar Square. He was awarded the Turner Prize in 1994, and was knighted in the New Year’s Honours list in 2014. The Beaumont, in Brown Hart Gardens, Mayfair, is being developed by Grosvenor in partnership with Corbin & King Hotels. It is the first hotel that renowned restaurateurs Chris Corbin and Jeremy King will operate and will open in Autumn 2014.